The Summer is the time for those all-white affairs. Consider a Pima cotton knit blazer, cotton batiste button-down, crisp Irish linen shorts and these Giuseppe Zanotti Design sneakers. 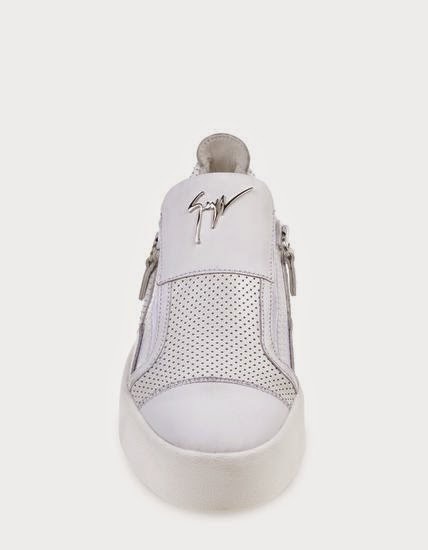 They're a great combination of pristine white Italian leather and leather mesh with those patented Zanotti side zips all set onto a study rubber sole and accented with a silver metal logo plate on the tongue. It's the clean side of Summer luxury. Available now at TheCorner.com.